The Premier Livingston County Criminal Defense Law Firm has Been Protecting and Successfully Defending Clients Charged in Livingston County for Decades. The various members of the Defense Team with LEWIS & DICKSTEIN, P.L.L.C. practice in Livingston County courts on a daily basis. These Livingston County criminal defense lawyers are nationally recognized for their passionate representation of clients in Livingston County Circuit Court, the Howell District Court and the District Court in Brighton, Michigan. If you are looking for the best Livingston County criminal lawyer for you, please call us at (248) 263-6800 for a free consultation and we will do everything possible to find a way to help you. When you hire a senior lawyer with LEWIS & DICKSTEIN, P.L.L.C. your case will be handled by that senior lawyer and you will not be passed off to a subordinate or less experienced attorney. We use a unique team approach that achieves unparalleled success. The criminal defense lawyers with LEWIS & DICKSTEIN, P.L.L.C. are dedicated to the passionate, tenacious and compassionate representation of those charged with a felony or misdemeanor in Livingston County, Michigan. Each Livingston County criminal defense attorney is adept at handling all aspects of criminal matters from pre-charge, charge, trial, appeal and post-conviction motions. We know that the consequences to clients and their families due to criminal charges can be life changing in a tragic way. It is for precisely this reason that our Livingston County criminal lawyers stop at nothing in order to protect our clients from being over prosecuted, falsely prosecuted or from being taken advantage by a prosecutor or a judge who does not care enough to adequately consider our client’s personal situation. We put forth our best possible effort in each of our cases and our highest priority is to achieve a dismissal of all charges if possible. 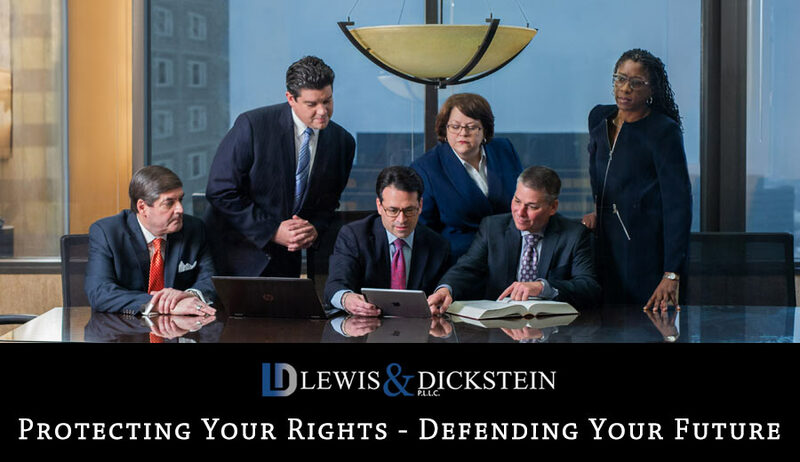 The level of experience, dedication and zealousness you will find with LEWIS & DICKSTEIN, P.L.L.C. is unmatched. If you or someone you love is charged or accused of committing a crime in Livingston County, please call (248) 263-6800 for a free consultation or you can fill out a Request for Assistance Form and we will promptly contact you. The Livingston County Circuit Court and its judges are notoriously tough and harsh on those individuals charged with criminal offenses. Often lawyers say that in Livingston County, there is a presumption of guilt and innocence must be proven. In fact, many lawyers just refuse to practice criminal defense in Livingston County and will not take cases in that jurisdiction. In our experience, we have been able to achieve extraordinary results for our clients in Livingston County though tenacious, aggressive, fearless and zealous legal representation. The truth is that it’s not any one particular case, they go after all cases like they are capital offenses. Although at first it may seem like this is a good thing for Livingston County residents, the downside is tragic. Often times, innocent people are wrongfully charged or people are overcharged and the Livingston County Prosecutor is very reluctant to consider any possibility that a charge may be incorrect. It is for precisely this reason that anyone charge in Livingston County, Michigan, should call Livingston County criminal firm, LEWIS & DICKSTEIN, P.L.L.C. for a free consultation at (248) 263-6800. We believe that building relationships and establishing an excellent reputation with Livingston County judges, Livingston County prosecutors and court staff helps us achieve the best possible results for our clients. Through many years of aggressive and successful Livingston criminal defense work, we have built reputations as being highly successful, tirelessly zealous and effective Livingston County criminal defense lawyers. Our reputation and prior success in the Livingston County Circuit Court and the various Livingston County District Courts has allowed us to achieve results for clients that many of the best Livingston County criminal attorneys would not have been able to achieve. The Livingston County Circuit Court (44th Circuit Court) and the Howell District Court (53rd District Court) are located at 204 S. Highlander Way, Suite 5, Howell, MI 48843. The 53rd District Court also has a division in Brighton, the Brighton District Court, which is located at 224 N. First Street in the City of Brighton. Cases handled in the Livingston County Circuit Court are felony cases. The Brighton and Howell District Court’s handle felony preliminary examinations, misdemeanors and ordinance violations. Misdemeanors are crimes of a less serious nature that usually carry a maximum jail term of one year including traffic misdemeanors. Misdemeanors are handled by the District Court where the offense occurred. Drunk driving (OWI/Operating While Intoxicated) is considered a criminal offense, not a traffic offense. The most serious category of criminal offenses, felonies, are punishable by more than one year in prison. The District Court where the offense occurred typically handles the initial stages of arraignment on the complaint and preliminary examination. If the 53rd Judicial District Court (Howell or Brighton) finds sufficient evidence, the case is bound over or transferred to Livingston County Circuit Court. The Circuit Court then typically handles the case after bind over including the arraignment on the information, pretrial, trial, plea/trial and sentencing. When prospective clients meet with me on a Livingston County charge, they frequently ask, “who is the best Livingston County lawyer,” or “who is the most experienced Livingston County lawyer?” It is fair to say that this is an impossible question to answer because the opinion of who is the “greatest” or “best” is subjective. Many Livingston County lawyers may feel they are the best Livingston County lawyer or claim they are the most experienced but their track record and reputation do not support that opinion. The lawyers with LEWIS & DICKSTEIN, P.L.L.C. are well known for our successful representation of clients with felony and misdemeanor charges in Livingston Count. We will do everything possible achieve a dismissal of the charges or, if that is not possible, get the best possible outcome. We can frequently help a client in Livingston County avoid jail or prison even when other lawyers believe incarceration is unavoidable. Call us today, or fill out a request for assistance form, we are NOT afraid to win!